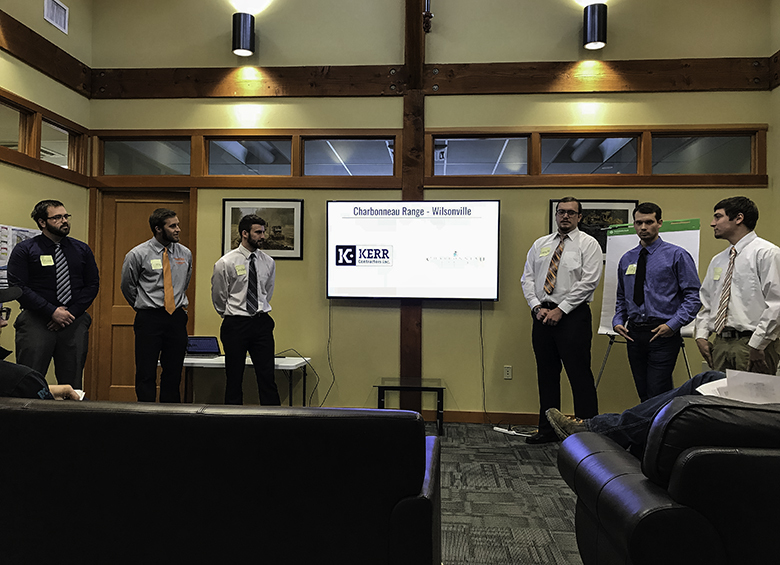 This year’s group of Oregon State University students is preparing for the annual Reno Estimating Competition at Kerr Contractor’s offices in Woodburn. Quinn Cox, a Senior Estimator, has 20 years support for Construction Engineering Management Project at Oregon State University, nine years at Kerr Contractors. Each year, he takes a group of students interested in heavy civil construction and provides practice and guidance in preparation for this estimating competition for Universities across the Western United States. This year’s group is presenting their practice project before the simulated group of upper management as their judges. Kerr Contractors knows the competition and hopes to prepare these engineers when they arrive in Reno with real-world experience. Go Beavers!! Kerr Contractors is one of the leading and most technically advanced heavy civil construction general contractors in the Pacific Northwest. to receive project updates, current events, traffic closures and all things Kerr. ©2019 Kerr Contractors. All Rights Reserved.